Detailed guide for the Cooperation Guide for the Empress Arcana. We will update this as we go along. The Empress Arcana reveals Haru Okumura as its holder. The Empress Arcana is not only symbolized by Haru, but also by her persona - Milady and Astarte. Haru Okumura is a sheltered, naive girl who happens to be an expert conversationalist. Her father’s occupation, however, has given her a stressful life. She is a member of the Phantom Thieves of Hearts. Find her at the school rooftop on a sunny day after school, except on Sundays. 1 Vegetable Cultivation You can cultivate Vegetables on the rooftop with Haru. 2 Baton Pass If “One More” is triggered, Haru can pass the baton to the protagonist or receive the baton. Every time the baton is passed, the receiving character’s attack increases. 3 Final Blow Haru will perform a follow-up attack if the protagonist doesn’t down the enemy. 4 Celebrity Talk If the Shadow Negotiations fail, Haru can help increase the chances of trying a second time. 5 Selective Breeding Vegetables have a better yield. 6 Paper Fan Recovery Haru will occasionally clean the party of their conditions. 7 Soil Improvement The time to harvest the plant decreases. 8 Moxie Haru has a chance to survive otherwise fatal attacks with 1 HP. 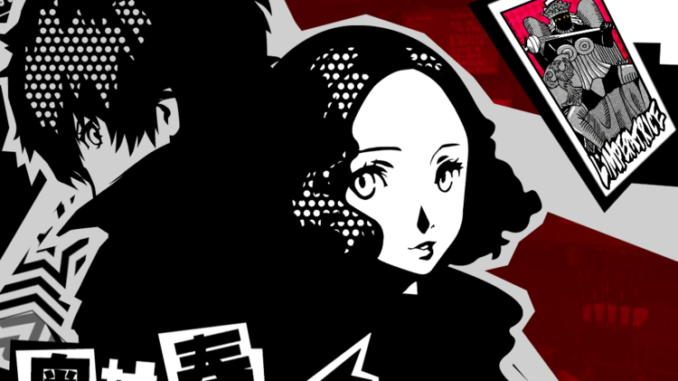 9 Covering Haru will sometimes intercept hits that would otherwise kill the protagonist. Im having a problem where I&apos;m not getting the arcana bonuses despite having an Empress Persona. Can anybody help? You made some first rate points there. I appeared on the internet for the difficulty and found most individuals will go together with along with your website. Rank 9 skips choice 2, has choice 3 listed as choice 2 instead. Rank 3 Question 1 has the wrong choices listed. I get what you mean. But my God, maxed out Proficiency just to continue the social confidant?? It’s a tall order unless you’ve been crafting thief tools and maxing out Munehisa Iwai’s Social Confidant the whole time.